Have you ever played tennis when you we're younger? It looks simple... well, it is simple. 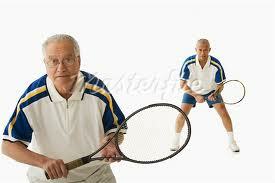 Most people who have never played tennis before, think it's difficult to learn. Have you ever watched a tennis match on tv? you'll quickly understand how to play tennis. No matter what age you are, you'll quickly get the hang of it. After you've learned playing tennis, you can enjoy playing tennis for as long as you live.